Size: Largest egg is 9 inches long!! This is a museum quality nest of Raptor eggs. The eggs are extremely large and have wonderful form - the original ''egg'' shape is easily seen. All three eggs have much of the thick, black eggshell still intact, which is extremely uncommon. The 3-D eggs are extremely inflated and have great color and contrast. The eggs are beautifully presented on the sculpted, UNBROKEN block of matrix. 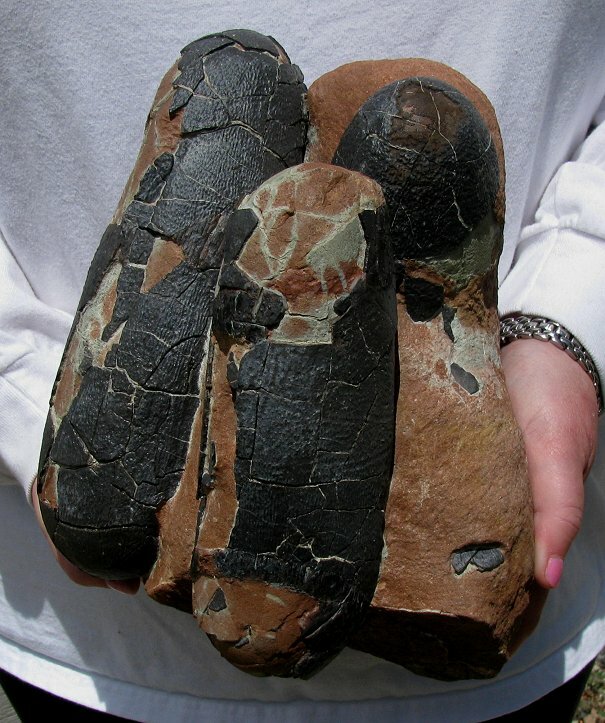 This is a top quality and extremely collectible clutch of fossilized Raptor eggs.